Personal opinion has its limitations. As the maxim goes, De gustibus non est disputandum—There’s no accounting for taste. And, of course, any person making a historical argument with their own personal taste as a premise is falling prey to an error in logic. Nonetheless, it is interesting to note that there has been positive aesthetic opinion about the alto trombone (its benefits, sound, etc.) from a wide range of respected musicians and commentators. Below is a sampling of quotations, arranged chronologically. For sources see the Alto Timeline Bibliography. 1829—Salzburg, Austria: British musician and publisher Vincent Novello attends Mass at the Salzburg Cathedral. 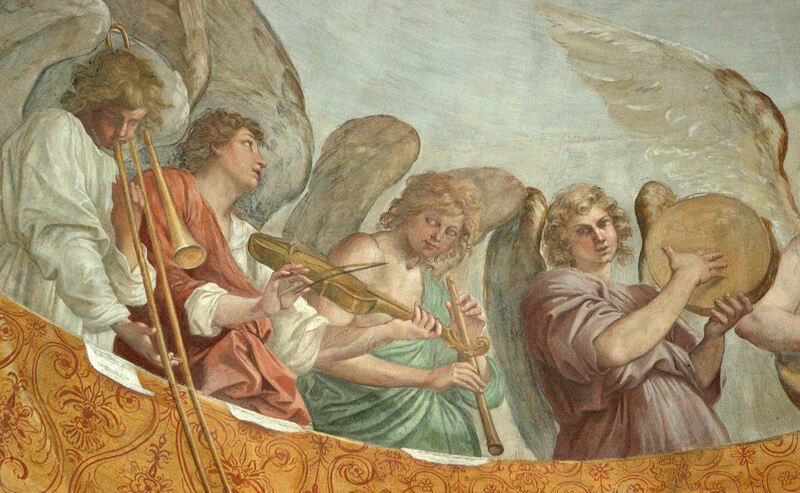 The trombones, which include a full complement of alto, tenor, and bass, receive special praise and are the only wind instruments present in Novello’s detailed account of the ensemble: “The Orchestra was placed in the right-hand Gallery near the Altar against one of the large Pillars which support the Dome. It consisted of two first Violins, a second Violin, Tenor [viola] and Double Bass (no Violoncello), three trombones (alto, tenor and bass), and the Organ….The best performers were the three trombone players, who produced a fine tone and added much grandeur to the general effect” (Novello 303-4). 1830—Hector Berlioz writes Symphony Fantastique, one of the earliest orchestral works to give trombones a prominent, independent role. Regarding the orchestration of the top trombone part, Berlioz says, in an early document listing the instrumentation, “The alto trombone part must not be played on a big trombone, as is often done in France: I demand a true alto trombone” (Macdonald 210). For similar wording by another prominent composer less than 30 years later, see the quote by Johannes Brahms, below (“genuine little alto trombone”). 1837 & 1844—Paris, France: Jean-Georges Kastner, a French composer and theorist whose orchestration treatise predates that of Berlioz and was used in the curriculum at the Paris Conservatory, writes in his treatise about the security and purity of sound when using alto trombone in its middle register instead of tenor in its upper register: “If they are used in their middle register as much as possible, both alto and tenor trombone create a superb effect, because the tones can always be attacked with frankness and purity [franchise et pureté]” (Kastner-Woodward 250). In 1844 he writes a Supplement to the treatise. In this Supplement, Kastner mentions that, unfortunately, the alto is much more common in Germany than in France: “The alto trombone is in general use in Germany, but is only found in France in very few orchestras, which is very unfortunate because the tenor trombone may not play as high, and composers are deprived of using [notated B-F], notes that would benefit them greatly” (p. 40). He reiterates on the following page that this absence of alto trombone is a negative: “And the alto trombone and bass trombone, which are widespread in Germany, are most unusual in France. It is understood that this is a great disadvantage for our composers” (p. 41). Finally, he adds that, in general, 3 tenor trombones are used in French trombone sections, reiterating that this is negative (difficulty/embarrassment): “In general, French composers use only tenor trombone, for which they write in three parts, but they often continue to indicate by the designations of alto, tenor, and bass, which has given rise to some singular difficulty [embarras], especially in the bass part” (p. 41). 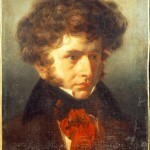 1844—Although Berlioz offers a mixed opinion about the alto trombone (“small trombone, or alto trombone in E-flat”) in his highly influential Treatise on Modern Instrumentation and Orchestration, he does have a few positive things to say, mentioning that the instrument’s high notes are “very useful” and thus bemoaning, “it is a matter for regret therefore that the alto trombone is now to be found in very few of our French orchestras” (Macdonald 208). In his discussion of valve alto trombone (which he explains is pitched in E-flat or F), he is also complimentary: “Melodic solos are frequently written for the alto valve trombone. If well phrased, a melody can have considerable charm on this instrument.” Although the statement is in reference to valve alto trombone, Berlioz adds, “But it is a mistake to believe it would have any less charm on the slide trombone in the hands of a true virtuoso…” (Macdonald 228). 1859—Hamburg, Germany: A letter from Brahms to Theodor Avé Lallemant, only recently published, offers some insight into the preference of the composer. 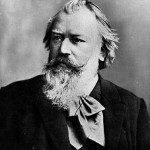 After discussing some logistics of an upcoming performance of Begräbnissgesang, Brahms makes a firm, specific request about the instrumentation of the trombone section: “On no account 3 tenor trombones! One genuine little alto trombone and, if possible, also a genuine bass trombone” (“Daß keine 3 Tenor Posaunen kommen! Eine ächte kleine Alt-Pos. u. wo möglich auch eine ächte Bass-Pos.”) (emphasis in original; Avins 127). 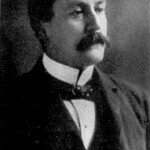 1879—London, England: William Alexander Barrett, British writer, critic, choirmaster, and Vicar-Choral of St. Paul’s Cathedral, writes the following about alto trombone in his An Introduction to Form and Instrumentation: “The Alto Trombone is not so frequently used in the orchestra as it should be, the players preferring the convenience of the Tenor instrument, the tone of which, though good, lacks the soft brilliancy of the Alto” (Barrett 73-74). 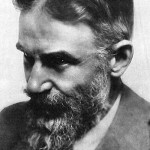 1879—London, England: George Bernard Shaw, the well-known playwright, literary critic, and music critic, writes, “Another abuse which occurs in the same ill regulated family is the desuetude of the bass slide trombone and the alto trombone, both of which are frequently supplanted by tenors; a proceeding quite comparable to relegating the viola and double bass parts to violoncellos, which, nevertheless, few conductors would care to attempt, except perhaps with a second rate English opera troupe in the provinces. Some composers, by writing for three tenor trombones (perhaps making a virtue of a necessity) have seemed to undervalue the distinction between the three varieties; but the individuality of the alto is as marked as that of any other instrument in the orchestra; and nothing can supply the place of the bass trombone” (Shaw Unpublished 46-47). 1896—London, England: Frederick Corder, British conductor, writer, and professor of composition at the Royal Academy of Music in London, publishes his orchestration text, The Orchestra and How to Write for It: A Practical Guide. Corder includes a diagram of the range of the alto trombone in E-flat, commenting on the rarity of the alto and bass instruments, “It is a great pity that practical reasons have conduced to the almost entire abolition of all save the B-flat trombone; but it cannot be helped, so we must accept the fact.” He bemoans that subsequently cornets have to be used to fill in “the valuable high notes of the Alto trombone” (Corder 58). 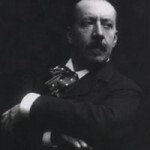 1904—Paris, France: Charles Widor, author of the influential orchestration text, Technique de l’orchestre moderne, comments on the “admirable timbre” of the alto trombone, ranking the instrument as an “indispensable voice” in the traditional quartet of cornetto and 3 trombones: “Despite its admirable timbre, akin to that of the Trumpet in F, the Alto Trombone has now become more or less obsolete, because its compass being much the same, it is almost a duplicate of that magnificent instrument…. It was a characteristic German custom, on Sundays and Church holidays, to have the Choral for the day played by a band of Cornet and Trombone players, standing in the tower of the principal church. Bach introduced this effect into his Cantatas, the brass instrument group playing alone or doubling in unison each of the vocal parts. So, the Cornetto and the Trombones were grouped together, and the Alto became an indispensable voice in this robust quartet” (Widor 78). 1906-1929—Widely-recognized British musicologist Donald Tovey writes a series of articles for Encyclopaedia Britannica that are subsequently collected into the now-classic Forms of Music. Tovey complains,“For lack of the alto trombone many of Beethoven’s top notes must nowadays be lowered; and then our smart young orchestrators blame Beethoven for his ill-balanced chords” (Tovey 81). 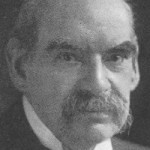 1908—George Case, British trombonist and professor at the Royal College of Music, advocating for the alto trombone, bemoans “the alto-trombone having almost fallen into disuse through the ignorance of the modern conductor as to the proper balance of tone-colour in the orchestra” (Bennett 204). 1917—Horatio Parker, one of the most respected American teachers and composers of his time, mentions that using alto trombone rather than tenor results in “a certain transparency, even gracility, in general effect” (Parker 486). 1926—Edwin Evans includes a very thorough discussion of the trombone family in his Method of Instrumentation. He describes the alto trombone as an E-flat instrument, although, he adds, “formerly, there also existed another type in F” (Evans 76). 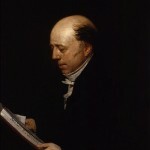 Evans expresses his opinion that using 3 tenors in an orchestral section instead of alto, tenor, and bass degrades the trombone and results in unfortunate orchestration: “It may be admitted that, generally speaking, the tenor trombone is the best type of instrument; but the unfortunate result is that all players affect it to the exclusion of the others. Its use is so prevalent that it has become unsafe to write even for the bass trombone, as there is no certainty of its being present; though, should the trombone parts be important in a composition, the change from the mixed trio to three tenor trombones would be very noticeable. The outcome of it all is to degrade the instrument; for, while composers are uncertain how their trombone parts are to be treated, they naturally arrange matters to suit any event, and accordingly we find the trombones doubling the bass and having other servile work instead of having pure and independent parts of their own” (Evans 81). 1933—Herman Scherchen, the distinguished German conductor, says in his Handbook of Conducting, “The alto trombone: Every orchestra should possess one of these; it is, even nowadays, indispensable for performing Mendelssohn’s ‘Ruy Blas’ Overture; Schumann’s E flat major Symphony; ‘Rienzi’; ‘La Muette de Portici’; and Bach’s ‘Art of Fugue’ in Wolfgang Gräser’s arrangement” (Scherchen 102). 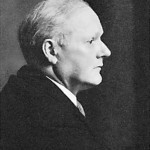 Scherchen later becomes known for his recordings of an unusually wide range of repertoire. 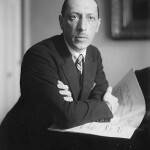 1959—In the context of a discussion about instrumentation, Igor Stravinsky specifically mentions alto trombone among those instruments he is fond of: “What instruments do I like? I wish there were more good players for the bass clarinet and the contra-bass clarinet, for the alto trombone (of my Threni and Berg’s Altenberg Lieder), for the guitar, the mandoline and the cymbalom. Do I dislike any instrument? Well, I am not very fond of the two most conspicuous instruments of the Lulu orchestra, the vibraphone and the alto saxophone” (Stravinsky and Craft 30). 1980—Alfred Blatter, who later becomes an orchestration instructor at the prestigious Curtis Institute of Music, explains that one reason for the resurgence of the alto trombone is that, relative to the tenor, the alto trombone possesses a “lighter, sweeter sound” (Blatter 163). 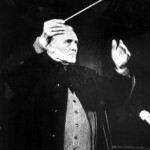 1992—London, England: Norman Del Mar, the respected British conductor, Romantic era specialist, longtime conducting professor at Royal College of Music, and former horn player in the Royal Philharmonic Orchestra, comments on the trombone’s high F in Beethoven’s Symphony No. 5: “Now, although this very high note can certainly be reached today by good principal trombonists on the tenor instrument, the return of the once obsolete alto trombone is much to be welcomed, giving not only greater assurance at this extreme upper register but also a fine quality of sound” (Del Mar, Conducting Beethoven 96). 2005—Roland John Jackson, expert on performance practice and longtime editor of the Performance Practice Review, mentions the color and sonority contributed by alto trombone: “As the [nineteenth] century wore on the alto began to drop away and the tenor and bass became fused into a single instrument. This, however, robbed the trombone section of something of its distinctive color and sonority; the absence of an alto trombone, for instance, takes away from the effectiveness of the entrance of the three trombones in the finale of Beethoven’s Fifth Symphony” (Jackson 410).